An editorial in the Financial Times earlier this week noted that US President Trump could become a historical figure not for the inflammatory language he has introduced on the US political scene, as the MSM would have you believe, but for being the first Western leader not to sit back and let China become the world’s biggest economy. As real estate investor and legendary Shanghai businessman Mr Tai Pei (57 years old) this week admitted in an interview with western media: "The economy is not doing well. Both the stock market and the property market are depressed. I think it's all reached a ceiling." 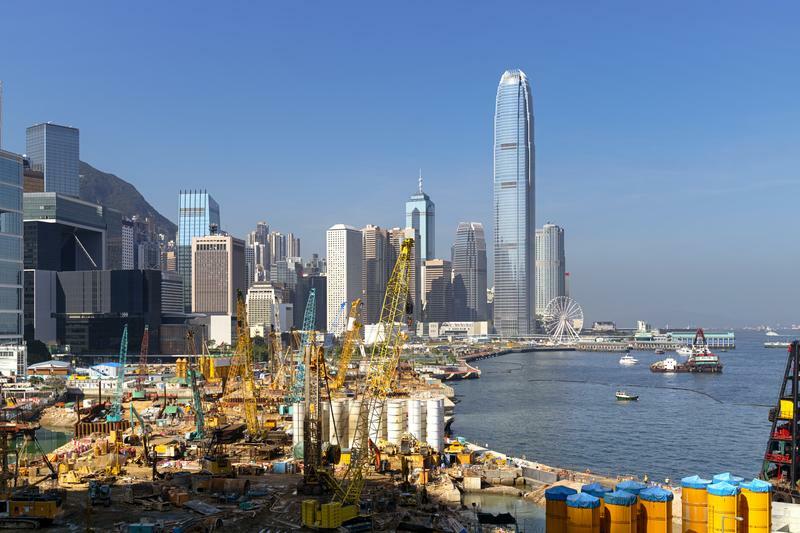 Having watched the Chinese real estate market grow for many years, Mr Pei was tempted to grab a slice of the incredible profits from the country's massive construction boom. A decade ago, he bought his first three downtown apartments in China's commercial capital and made almost 10 million yuan ($1.44 million) profit when he sold two of them just a year later. But now the story has turned sour. Protests are erupting across various Chinese cities after developers suddenly and simultaneously decided to slash prices of various apartments by 30%, leaving the last buyers with a serious loss on their mortgage. This week saw violent protest break out in Xiamen, in China's South Eastern Fuijian province, when the price of a luxury villa in a complex was suddenly cut by 2 million yuan, having sold for more than the double a year earlier. China's largest residential real estate company, Vanke, the developer responsible for the price cut, was pressured by the Chinese state to pay out a million yuan in compensation to some 100 existing owners in order to limit the damage. But protests in Shangrao, Xiamen, Guiyang, and Hangzhou has also seen property owners demand the return of their money from construction firms. The Chinese official figures, which no one really trusts, suggest that China's property market is up 7 percent over the past 12 months. The unofficial data suggests that interest in new properties has recently fallen by some 30 to 40%. Economist Tan Haojun admitted recently that "Fang Nao will become more regular. When that happens, things will spin out of control and may result in social unrest." Even European investors are starting to get worried. Ms Iris Pang, economist for Dutch bank ING, sent a note to investors this week predicting a price correction of 5 to 10 percent over the next quarter alone. She did note cautionary that the floor is not falling below them just yet: "jobs are still secure in China, so we don't see homeowners selling property and other assets because they can't repay mortgages." The real inflammatory language comes from the media democrats with their cronies like half-breed Barry, Creepy Joe and the Hill-da-beast! Its ok to love our country!